Congratulations Mason. It's always good when someone quits smoking. I remember well my mother smoked ..had one lit up all the time. Pall Malls, I think. Her fingers were brown and she and our smelled awful. She had a stroke at 45 and was told to quit smoking and she did....cold turkey! I've seen the e-cigs don't know anything about the vapor. 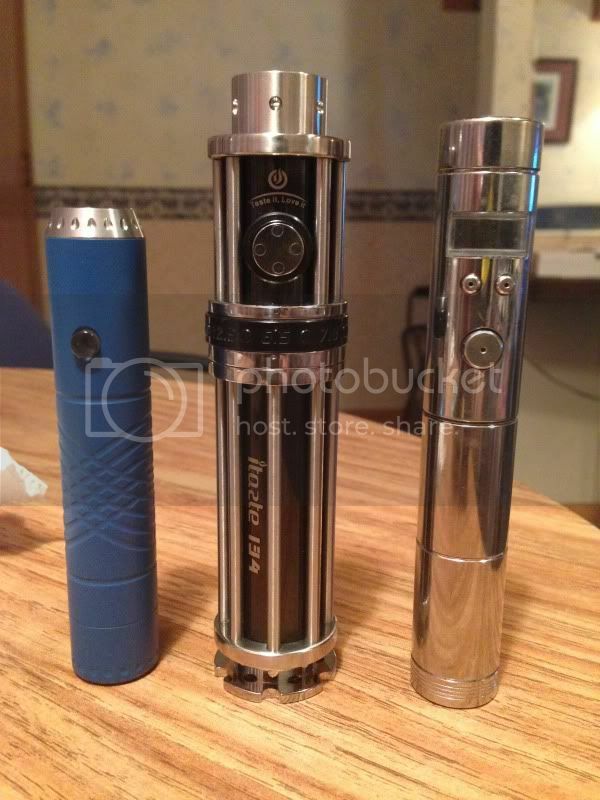 Is the mod what produces the vapor? How do you smoke vapor? Great to hear Mason! And good to hear from you! Sorry I haven't replied before now. Haven't been on much. The mod is basically the power supply. An atomizer goes on top of it and is then filled with the eliquid. The atomizer heats the liquid to produce the vapor. The liquid comes in all kinds of flavors, and is far more enjoyable than smoke.